Sign up to receive tour-emails. On average, we have about 16 cars attending our tours. We welcome all to join us. With this many cars, we highly recommend purchasing a 40-channel CB radio (this is different than an FRS radio) to hear about road conditions and participate in group discussions (if this is your first time, this is not required to get a taste of the road). Please review the Touring Etiquette prior to attending a tour in order to understand our rules and regulations. Mark your calendars for our 2019 tour schedule. This year’s out-of-town trips will be a return to the Twisted Sisters in the Texas Hill Country, a trip to Colorado and a trip out to Greenville, SC in October. Dennis will lead our group along the Ennis Blue Bonnet Festival, enjoying the sites along the way. This will be much closer to a cruise along the route to take in the beauty of nature. This route takes us from Chisholm Trail Elementary School in Sanger, TX up and round to our favorite bridge over the Red River and back to Muenster for lunch. After lunch, we’ll lead a group over to Nocona and visit the Horton Classic Car Museum. This multi-day trip will leave on a Wednesday, stop in Amarillo the first night and enjoy TEXAS (https://www.texas-show.com/) an outdoor musical within the Palo Duro Canyon State Park. Then, we’ll continue to head into Colorado and cooler weather, awesome sights and twisty roads. We plan to stay West of Denver and visit things like the Rocking Mountain National Park and find some interesting places along the way. We’ll setup MotorSportReg.com and work to keep the hotel costs at $150/night ($600), so budget about $1500 for the entire trip (fuel + hotel + food). This year, we’d like to join the Sunbelt chapter in Oklahoma and/or Texas and meet new and old friends just over the border. Please stay tuned for more details. We’ll start from Buc-ees in Terrell at 8:00a and then take some twisty-style roads toward Tyler, stopping at BMW of Tyler and hopefully adding more friends along the way. We’ll then take a circular route to Mineola and stop at the East Texas Burger Co for lunch. One of our few Sunday drives, we’ll head out from the RaceTrac around 2:30p in McKinney, enjoy some of the roads north of McKinney and stop in Sherman for dinner. We’ll return to some of our favorite roads in the Southwest Fort Worth area with a stop in Hico to enjoy a good lunch. This is the 50th anniversary of the Oktoberfest and there are some rumors that O’fest in the future might look a little differently going forward. 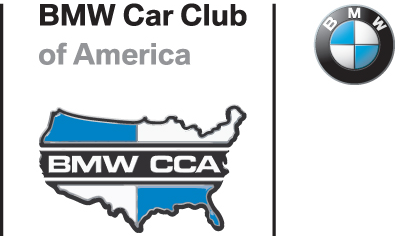 Make plans this year to head out to South Carolina for a big party in Greenville, home of the BMW Car Club of America, BMW CCA Foundation, the BMW Performance Center and the Spartenburg, SC plant. Typically for a week-long event, a budget of about $2,500 should be expected. While delayed this year by a weekend, we’ll still plan to make a toy run, starting at the AP Travel Center in Valley View (13965 S IH 36 Valley View, TX) and run East, enjoying the roads long the way.